Villa Durazno – Beautiful, private and luxurious property available for rent, overlooking the Papagayo peninsula in NW Costa Rica. 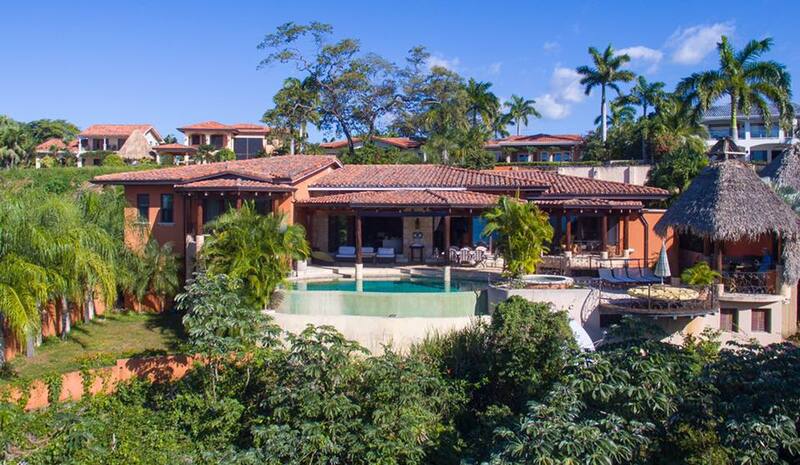 This amazing villa overlooks Panama Bay, sleeps up to 14 people and is guaranteed to provide you with mesmerising views, privacy and tropical luxury. 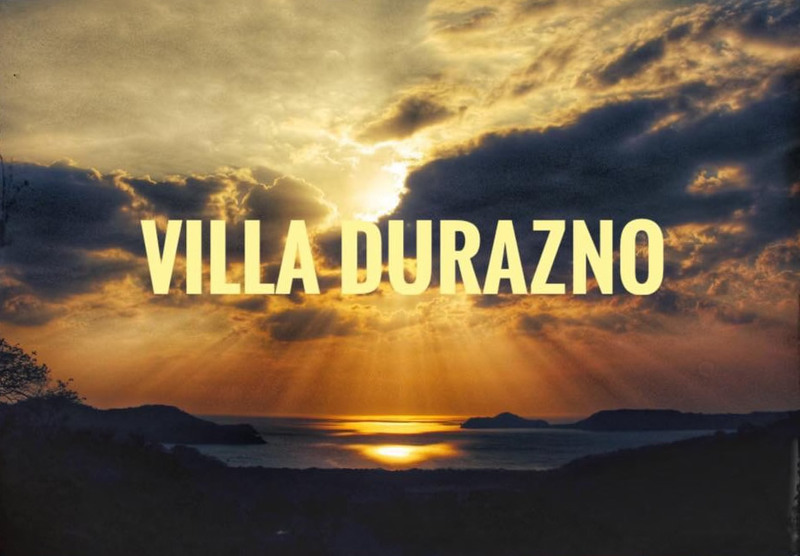 Villa Durazno is now available for rent, year round. The villa is only 20 minutes from Liberia Airport and has 6 individually designed en-suite bedrooms (3 classed as master-suites), a huge salon/reception area, a large west-facing sun-terrace, an aquarium infinity pool, a professional kitchen, BBQ Rancho area, wi-fi, air-conditionin, Direct TV and a large double garage. This unique villa is large (12,000sq ft set over two floors), but you will be greeted with calmness and cool comfort as you enter. It has unique detail, with extensive use of local, natural materials and furnishings throughout. Villa Durazno is approximately 15-20 mins from Liberia International Airport, Guanacaste, Costa Rica. The code for this airport is LIR. 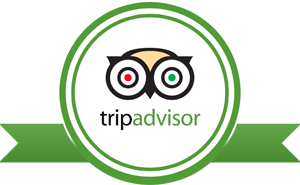 Once you have reached Liberia, we can arrange transport directly to the villa for you, or arrange for hire vehicles that you can pick up at the airport. 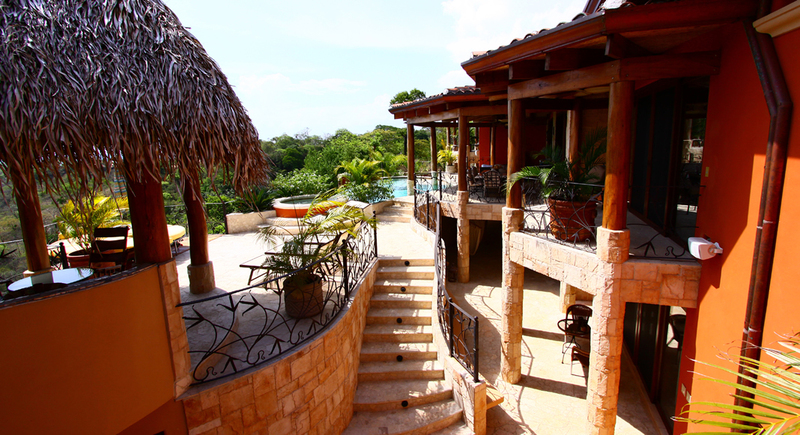 Villa Durazno offers you top class luxury, location, service and privacy. Guaranteed.